Prime Minister of Ukraine Volodymyr Groysman said that he was pleased that Ukraine had broken off the program of economic cooperation with the Russian Federation. According to the Head of government, Kyiv's decision will benefit Ukraine, balance its export policy, making Ukraine stronger. “I am glad that we have got rid of dependence on Russia. We have a huge potential. It was Russia that took unacceptable steps - the war in the Donbas, economic pressure. Therefore, we were forced to make such a decision. Our exports to Europe and Asia are growing. We are only getting stronger because of the breakout," he said. 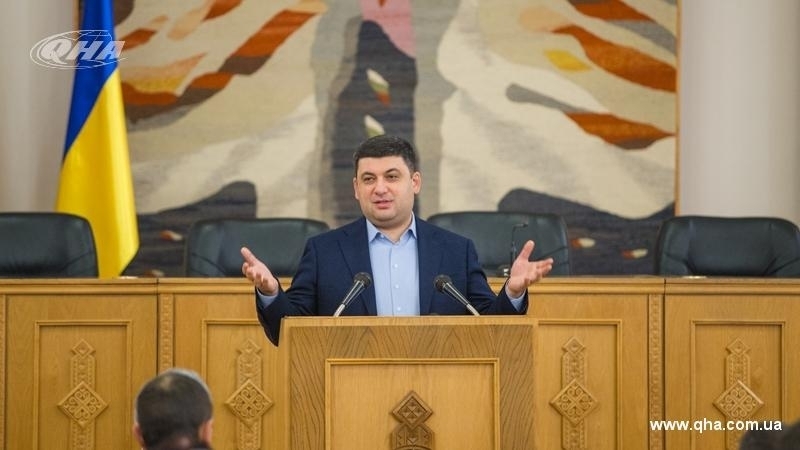 Groysman noted the current necessity to build production in Ukraine, to develop its own product. Earlier QHA reported that, on March 21, the Cabinet of Ministers of Ukraine decided to end economic cooperation with Russia. The Head of government also instructed the Ministry of Foreign Affairs to inform the Russian government about the decision of the Cabinet to break the agreement on economic cooperation. Earlier, the Lviv regional council to the senior leadership of Ukraine with a demand to sever diplomatic relations with the Russian Federation.